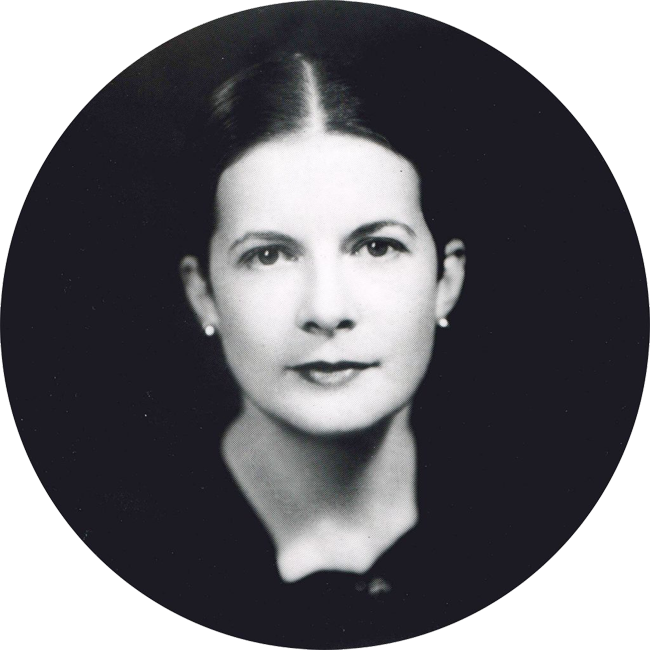 Anne St. Clair Wright, dedicated preservationist and landscape designer, was a leading founder of Historic Annapolis Incorporated in 1952 and led this private organization until 1987. Explore this website to find out more about Anne St. Clair Wright, her work and the history of the architecture of Annapolis. The 50th Anniversary was marked with a luncheon in the Brice House, a colonial home recently acquired by the State of Maryland and managed by Historic Annapolis, attended by the principals involved in the establishing and maintaining of the Historic District and by the local politicians, celebrating the city, the Historic District, the U.S. Department of the Interior and the U.S. Naval Academy’s interrelationships. Several Preservation Pioneers received awards for their work in the past, presented by Lisa Craig the City’s Historic District Coordinator, and Robert Clark, current president of Historic Annapolis Foundation. 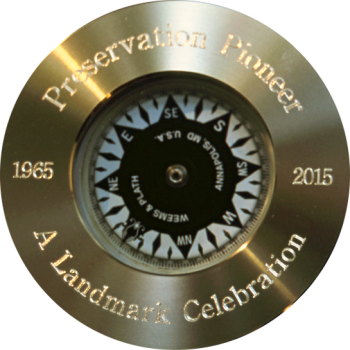 Each awardee received a compass in brass, engraved with ‘Preservation Pioneer 1965 -2015 A Landmark Celebration’ made by the local firm Weems and Plath. Pictured here is the compass given to Pickett Wright. Historic Annapolis Incorporated was founded in 1952. Forward looking preservationists, St. Clair Wright among them, wanted the city of Annapolis to adopt a provision for an historic district downtown as part of their first zoning code. This they did not want to do. So, in April 1952 more than 200 preservation-minded citizens gathered and formed Historic Annapolis Incorporated. Visionary preservationists believed that the 18th and 19th century city center could be adapted to modern businesses and lives and did not need to be replaced with new buildings. Because of the long period of economic downturn, the older homes and businesses were still there. 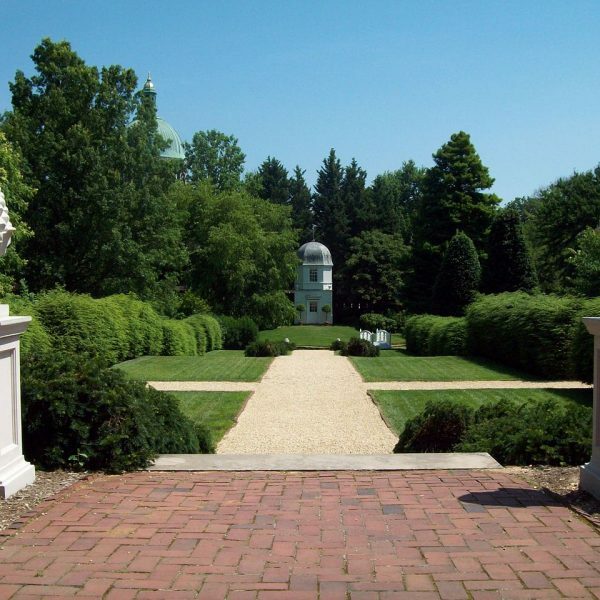 The enormous project of restoring the William Paca House and Garden was undertaken in 1970 with financial help from the state and federal governments. 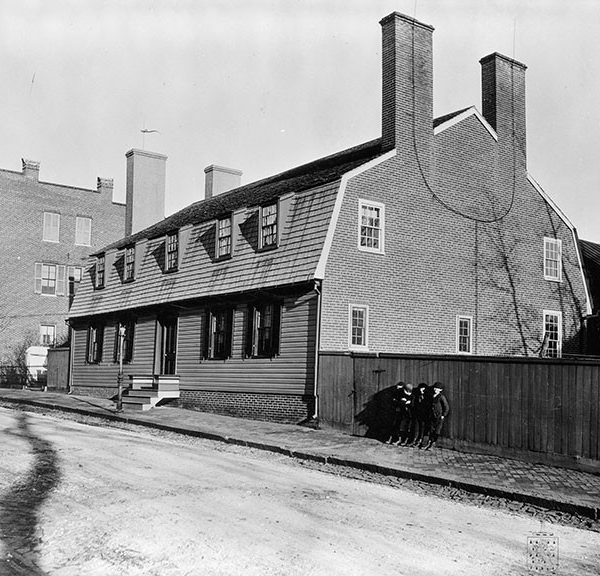 The house of William Paca, one of four Maryland Signers of the Declaration of Independence, had been added on to and turned into a hotel, Carvel Hall. His garden had feet of soil over it and was asphalted and the bus station located there. Carvel Hall Hotel and the bus station were to be demolished and be replaced by a Best Western Motel covering the entire block. St. Clair Wright understood the value of the Paca House and raised the $250,000 to purchase the property. 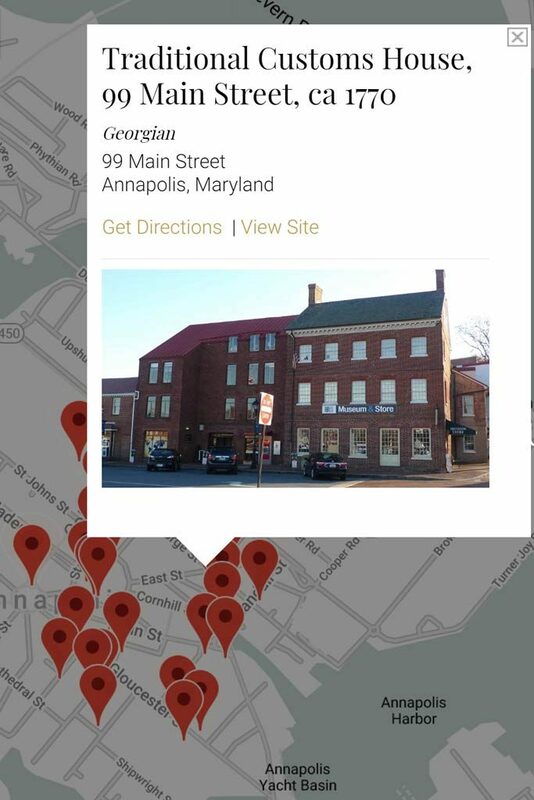 Experience the history of Annapolis by browsing the interactive maps of historical buildings, landscapes and architectural sites. Learn how Anne St. Clair Wright’s work in restoring the the rich and cultural waterfront city of Maryland, has helped to preserve its presence in modern day Annapolis.